If you cut me, I would shine. Most of the losses in my life have been sudden, completely unanticipated. I lost my elderly parents in a very different way: My father died last May, suffering from vascular dementia. He was unpredictable. I never knew what he'd be from one day to the next: angry and aggressive, confused, depressed and crying, clingy, silly and flirtatious, or more lucid and more himself? I knew I was losing him, though. I was aware of the need to prepare myself for the death of my parents. But I lost my brother and only sibling so suddenly it took my breath away. I saw him one day, apparently healthy, laughing and planning a party. Two days later, he died of an undiagnosed heart condition while raking leaves. I lost my husband suddenly and terribly. These are not my only sudden losses, but they're the ones I can share. A loss you do not anticipate jolts you into a strange, other-worldly numbness that can last for days, even weeks. In the case of my husband's death, it lasted for months. I felt as though I had ice water running through my veins. I could not cry, and when I finally did, I could not stop. A sudden loss requires a sudden rallying of your friends. The Jewish faith has a tradition, sitting shiva, in which friends gather respectfully around a person who has suffered a loss. They let this person guide the interaction. There is no automatic reminiscing, rationalizing, philosophizing or advice-giving. Hopefully there is no nervous laughter. They bring food. They dress conservatively—no showing up in short shorts, plunging necklines or high heels. 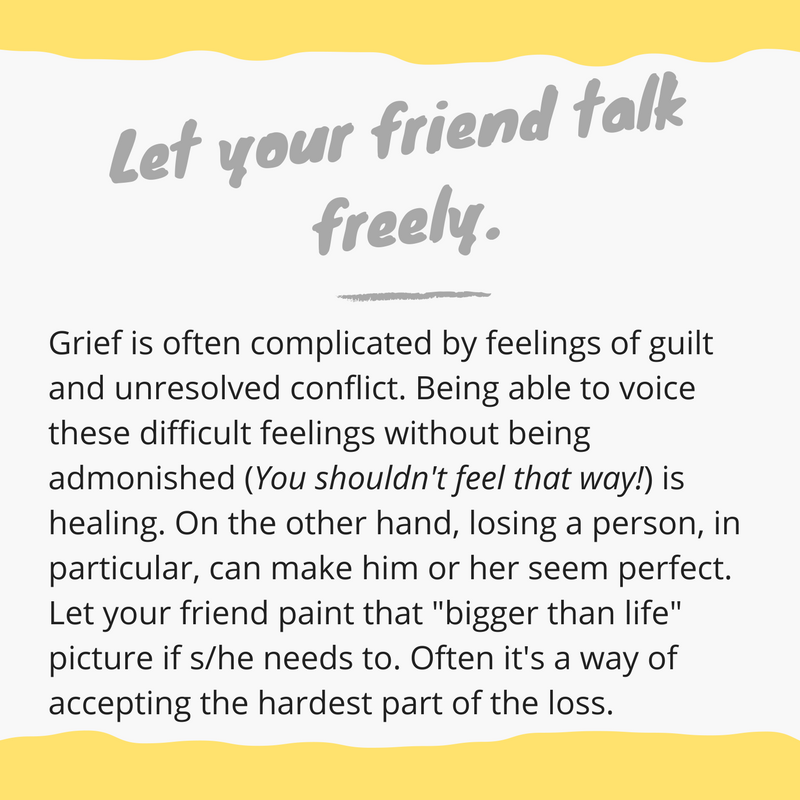 It isn't possible for a grieving person to look good, they understand, and cover the mirrors. This tradition asks friends to be simply, compassionately present. But a such a loss also requires friends to understand that the deepest part of the grief will come later, after the shock has worn off. Shiva-type friends are equally important then. 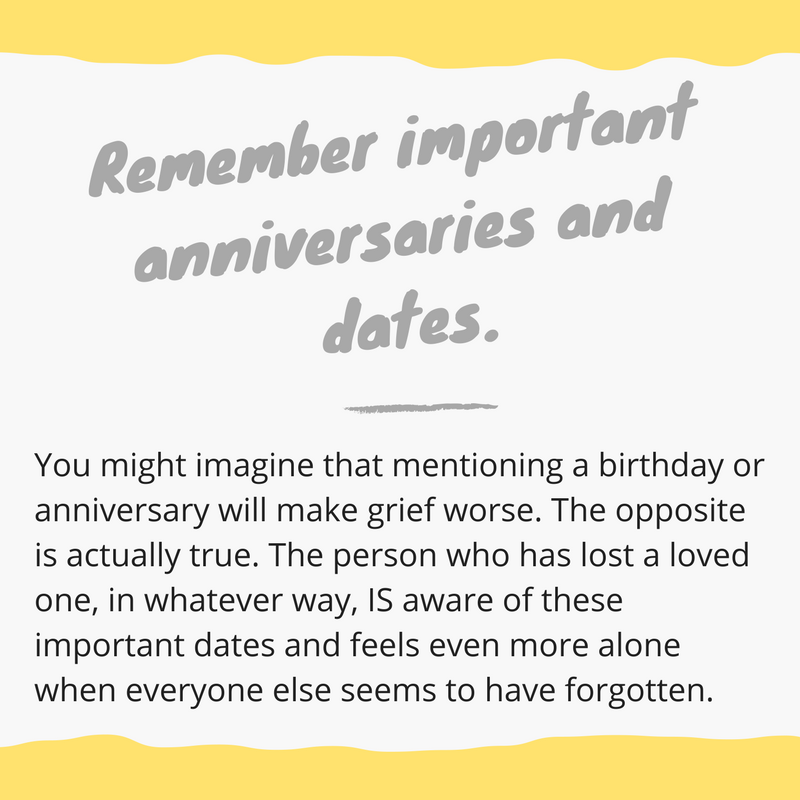 This page is about helping a friend get through the shock and aftermath of a sudden loss. It's a place to ask questions, share advice about friendship and tell your own story. Send your blogs, links for the resource page, suggestions and questions. You can email mary@allweatherfriend or click Connect on the top nav bar and use the form you'll find on that page. 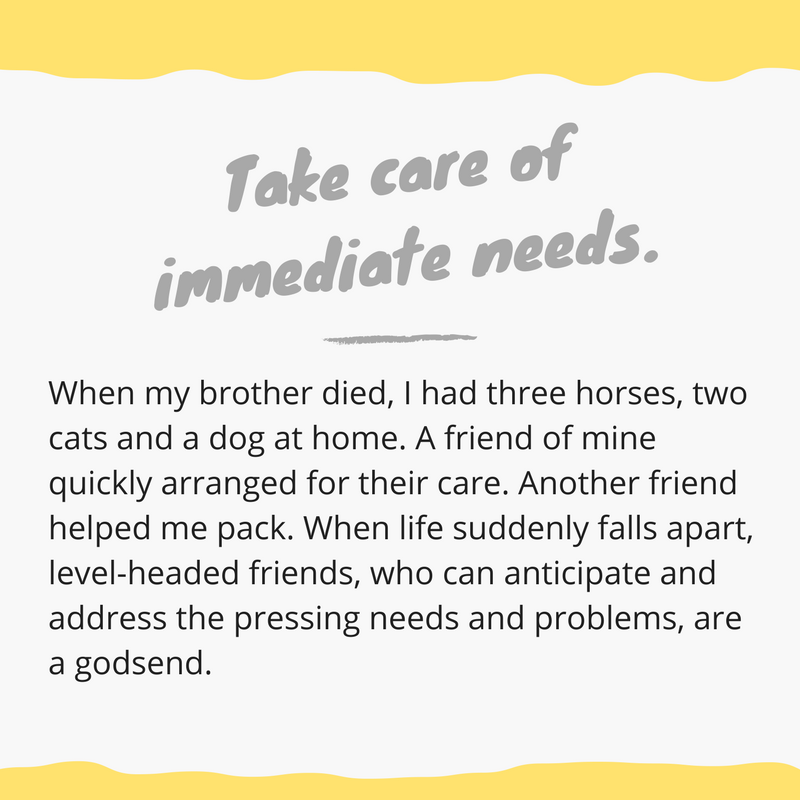 Whether the loss is from death, a devastating fire, the breakup of a significant relationship, having suffered a permanent injury or been dealt a devastating diagnosis, an unexpected loss causes shock. Shock blunts emotions and makes carrying out the day-to-day tasks of living (feeding yourself and anyone who depends on you, organizing, keeping bills paid and people informed) difficult to carry out. Life for the person or people directly impacted has taken a radical, disabling turn for the worst. Think before you speak and step in to help in whatever way you can, even a small thing can make a difference. Click the arrows for advice about how to help.